Limerick Chamber is one of the oldest and most influential organisations in Limerick City and the Mid-West Region. Founded in 1807, it received a Royal charter in 1815. One of the highlights of the bicentenary is the publication of this major book, aptly entitled Limericks Merchants, Traders and Shakers. 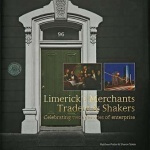 Having been inextricably woven into the fabric of Limericks life for over 200 years, producing a book recounting the central role that Limerick Chamber played in its economic development was inevitable. However, rather than a straight-forward history of the Chamber as an institution, this book describes the social, economic and political landscape of the greater Limerick area over the last 200 years in fascinating detail. 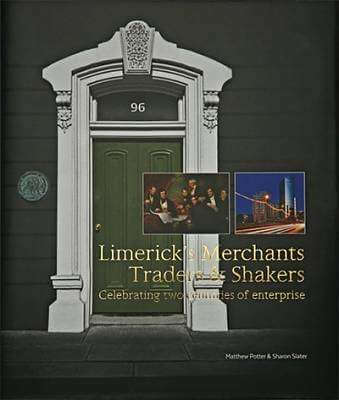 Researched and written by Dr Matthew Potter and Sharon Slater, Limericks Merchants, Traders and Shakers, is a lavishly illustrated book packed with dramatic events and interesting personalities, all set within the larger context of the economic and social history of Limerick and the Mid-West Region. It is published by Limerick Chamber to mark its 200th Anniversary. About the author: Dr Matthew Potter is a graduate of the University of London (BA) and NUI Galway (Ph.D) and is the author of twelve books and numerous articles. He works in Limerick Museum and Archives. Sharon Slater is a graduate of the University of Limerick (MA) and is the creator of the Limerick’s Life website. She is the author of multiple books and has contributed to several historical publications. The book is available in O’Mahony’s Bookshop.